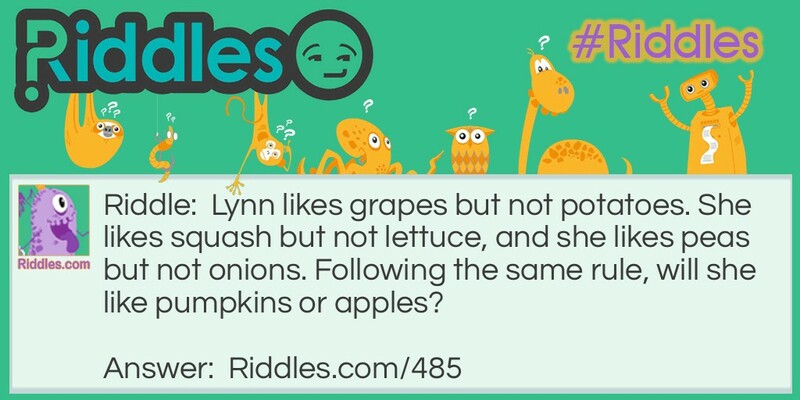 Lynn likes grapes but not potatoes. She likes squash but not lettuce, and she likes peas but not onions. Following the same rule, will she like pumpkins or apples? Pumpkins. Lynn only likes things that grow on vines. Pumpkins or Apples? Riddle Meme with riddle and answer page link.